President Obama will hold a news conference on Tuesday at the White House according to a tweet from White House Press Secretary Jay Carney. Reporters will likely pepper the president with questions regarding his meeting with Israeli Prime Minister Benjamin Netanyahu, the state of the U.S. economy, concern over the ongoing violence in Syria and the race for the GOP presidential nomination. The last time the president opened himself up to a press conference was in November of 2012 at the APEC summit in Hawaii. Tuesday’s press conference – on the same day as the GOP’s Super Tuesday primaries – has several of us asking – is it coincidence or strategy that the President has had several same day events with Republican candidates lately? For instance – the president addressed the UAW last week touting his successful auto bailout strategy – the same day as important primaries in Arizona and Michigan—home to the auto industry. He also delivered his much anticipated contraception compromise while GOP candidate Mitt Romney addressed the annual CPAC convention in February. And last fall the president requested to address a Joint Session of Congress on the same night as a scheduled GOP debate. Ultimately he agreed to move his address to the following evening. A counter programming strategy or simple happenstance? What do you think? 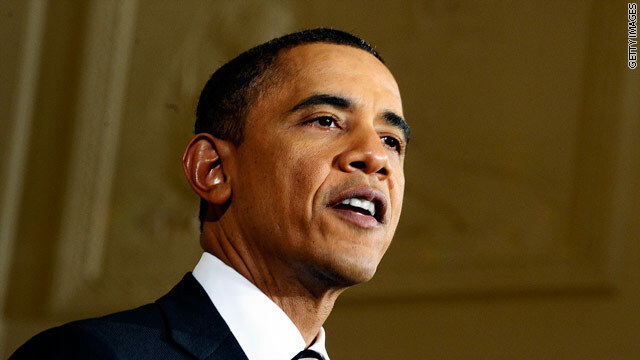 Washington (CNN) - President Barack Obama called on lawmakers Wednesday to overcome the "selfish" norms of politics and "do their job" to strike a deal on raising the federal government's current $14.3 trillion debt ceiling by the start of August. People shouldn't get "spooked," but "the yellow light (is) flashing," he warned. "This is urgent." Top economic analysts have warned of potentially catastrophic repercussions if the ceiling is not raised by August 2, including skyrocketing interest rates and a plummeting U.S. dollar. The president blasted congressional Republicans for refusing to consider raising taxes on the wealthiest Americans as part of any deal. Congress needs to be willing to "take on their sacred cows and do tough things" while moving away from "maximalist positions," he said. Can't watch the news conference? CNN's Political Ticker and The 1600 Report will be live blogging so you can follow in real time. 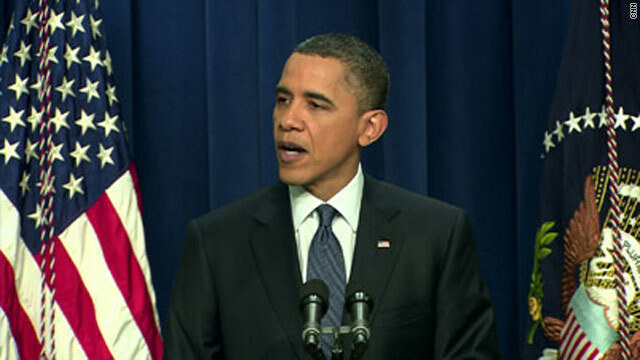 President Obama will hold a news conference Wednesday at 11:30am. You can watch live on CNN. 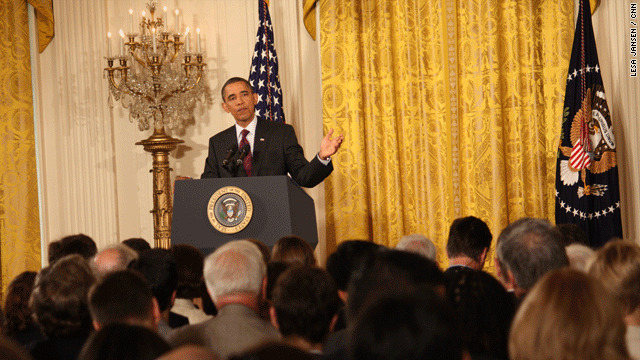 The 1600 Report helped our friends at the Political Ticker live blog President Obama's press conference. The president took questions from seven reporters and he wrapped up in 48 minutes. Check it out. 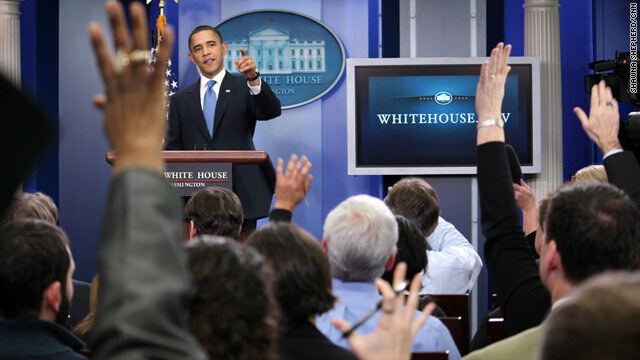 President Obama taking questions from reporters in the briefing room on April 9, 2010. 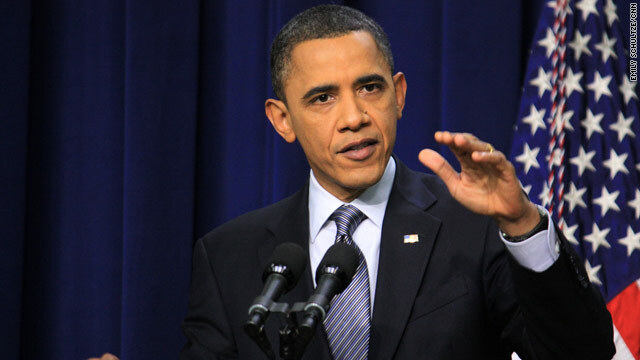 WASHINGTON (CNN) - The White House just announced President Obama will hold a press conference on Friday at 11:15 a.m. to discuss rising gas prices and other issues, CNN's Ed Henry reports. 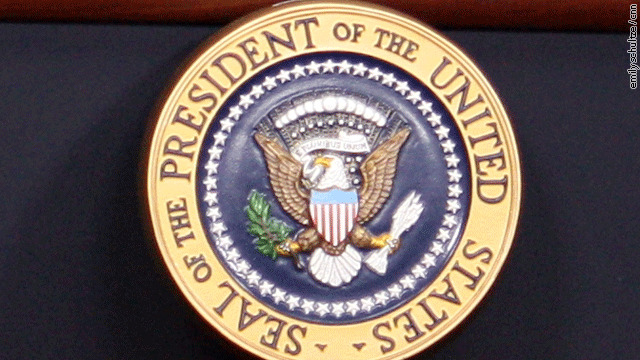 Obama will take questions from the press in the South Court Auditorium in the Eisenhower Executive Office Building. This will be his 12th solo press conference at the White House. WASHINGTON (CNN) - President Barack Obama called on congressional Republicans to engage in an "adult conversation" about the federal government's long-term financial health Tuesday, warning that serious debt reduction will remain impossible without bipartisan agreement on how best to stabilize Social Security, Medicare, and Medicaid costs. Leaders of both parties have to be willing to make unpopular concessions, he said, while declining to specify exactly what form those concessions should take. "All sides will have to do a bit of posturing on television" to "rally the troops," he told reporters at a hurriedly scheduled news conference. But eventually there needs to be a "quiet and toned-down conversation" on where compromise can be reached. The president defended his $3.7 trillion budget plan for fiscal year 2012, characterizing it as a responsible first step on the road to stability - an assertion sharply disputed by top Republicans calling for more budget cuts. 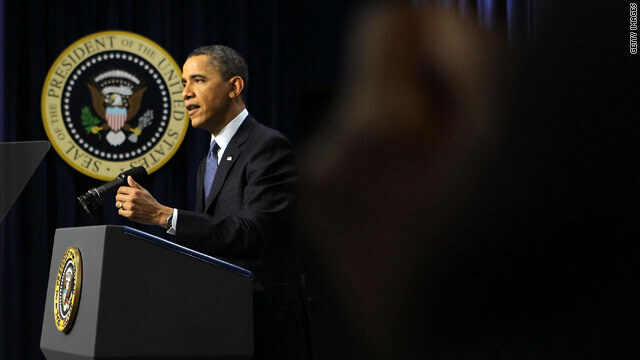 WASHINGTON (CNN) - During his Press Conference with Canadian Prime Minister Stephen Harper, President Obama says the attacks on reporters, human rights activists and peaceful protesters in Egypt are unacceptable.